American architect Tom Rankin has lived in Rome, practicing architecture and teaching, since 1991. He received his Master's in Architecture at the Harvard University Graduate School of Design, a BA in Architecture at Princeton, and a "Laurea" in Architecture at Università di Roma ‘La Sapienza’. He was founder of the successful non-profit cultural travel association Scala Reale and continues to support culturally and environmentally sustainable travel as a partner in Rankin & Greene LLC. Tom teaches at the Università di Roma “La Sapienza” (School of Engineering), the California Polytechnic Rome Program in Architecture and the Iowa State Rome Program. He is a Fulbright, a proprietor of the Boston Athenaeum, a founding member of ISAR (isarome.org) and Director of the association Tevereterno Onlus. 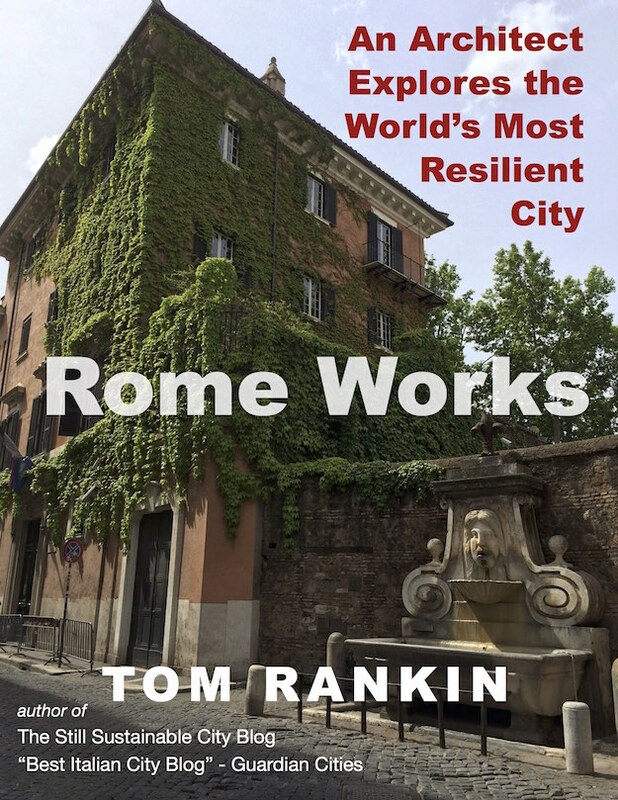 Tom is the author of Rome Works: An Architect Explores the World’s Most Sustainable City and has written numerous articles on sustainable urbanism and presented frequently at conferences. His blog on the Still SustainableCity was chosen by Guardian Cities as the best Italian city blog and is a reference point for sustainable urbanism in Rome. Trying times to try to maintain optimism in Rome. But it is getting harder.